In Big Farm players step into the muddy boots of a new farm owner, inheriting a rundown farm from Uncle George and charged with the task of getting it in shape and trying to earn a living from running it. This free to play browser-based MMO is a classic farming management game where players are responsible for constructing the required buildings on a farm, harvesting crops and resources, tending to animals, trading production goods and completing quests along the way for the various NPC’s that drive the story forward. There are various buildings available for construction on the farm, giving a player everything they need to run a productive and prosperous business. Players can plough plots of farmland to sew seeds, construct mills that can create grain and feed for the animals, housing areas for your hired farmhands as well as decorative cosmetic elements that generally make the farm look good and be a happier place to work. As players advance in the game they will gain levels and more money that they can use to unlock and purchase more improved buildings and extra farmland, part of the main challenge is managing your available build areas to maximise your farm’s potential. 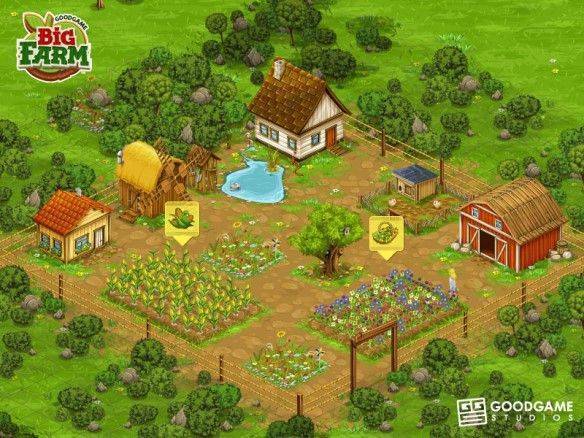 Items that a player produces on the farm such as flowers, crops and feed can either be used on the farm is a necessary resource to generate extra produce, for example using feed on the chickens so that they successfully lay eggs, or players can sell their wares on the in game market. Once more as players level up they will gain access to rarer seeds that they can create rarer produce to sell to other players and in turn get more money to put back into the farm. The game is extremely community driven MMO, from the player run economy where it is the players that choose their own buy and sell prices for their goods, to the player run Cooperations. A Cooperation is the games version of a Guild where players work together on larger tasks and challenges and will help each other to create the best farms that they can. Being in a Cooperation not only enables players to take on more difficult challenges but also lets them make new friends to work alongside and chat with them in game!